The school building has a nursery unit, five classrooms and a school library. Every classroom has access to excellent toilet and washing facilities and spacious cloak space. The main building also has a well equipped assembly hall and a separate canteen. 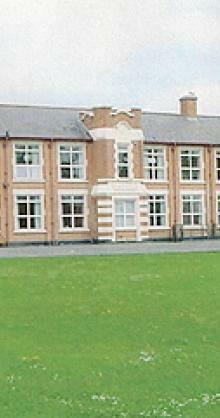 In 2006 the school was fitted with a toilet for the disabled and ramps to all entrances. The nursery also gained a covered play area in these works. The grounds are relatively large and include one grass football pitch, a tarmac area for games and an extensive grass area. 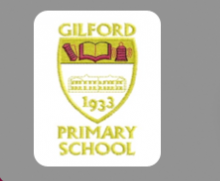 Giflord Primary School is under the control ol the Education Authority, 3 Charlemont Place, The Mall Armagh. The Area Board publishes details about education in its area and a copy ot this information can be obtained from any primary school. 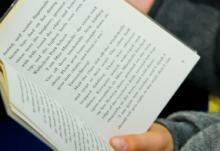 Teacher/parent consultations are held annually. This is an opportunity for teachers to report progress, identify areas of concern, advise parents and seek their support regarding their child's school work. At other times, parents may make an appointment to speak to the Principal or the class teacher if they are worried about their child's academic progress, ' behaviour or attitude to work'. Our school policy is to involve parents as much as possible in the education of their children. Reports are written for each child and sent home in June. A copy is kept in school along with some examples of work which will help to build up an individual profile on each child's attainment. 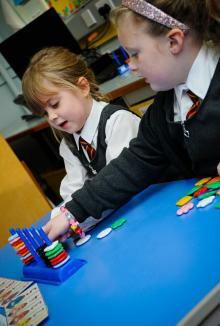 Standardised tests will also be used to assess attainment in the Years 2 - 7. P4-7 will carry out INCAS. Results will be used to update each child's progress record and inform teacher's planning. lf your child needs additional help in any way or for any reason, you will be advised by the class teacher who works closely with the SENCO ( Mrs D Armstong). By monitoring progress, especially in basic literacy and numeracy, we hope to identity any child who requires extra support as soon as possible. lt may be that short term additional help is required after a period of illness. It may be that English is not spoken at home. Longer term support may be required if your child has general or speciﬁc learning difficulties or indeed is a gifted child who needs an individual programme. Homework is an important part of your child's education and encourages a disciplined approach to school work. The school's homework policy clarifies the type and amount of homework which you would expect your child to receive, the time required, teachers’ expectations regarding presentation and of course the way in which parents can help. If you wish to have a copy or the school's homework policy, please telephone the school secretary, Mrs. Fiddes or call at the school .